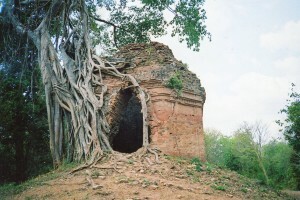 More roots of Angkor Wat grew in northern Cambodia. Around 500 CE, communities there built a kingdom, or a network of independent cities, called the Chenla. 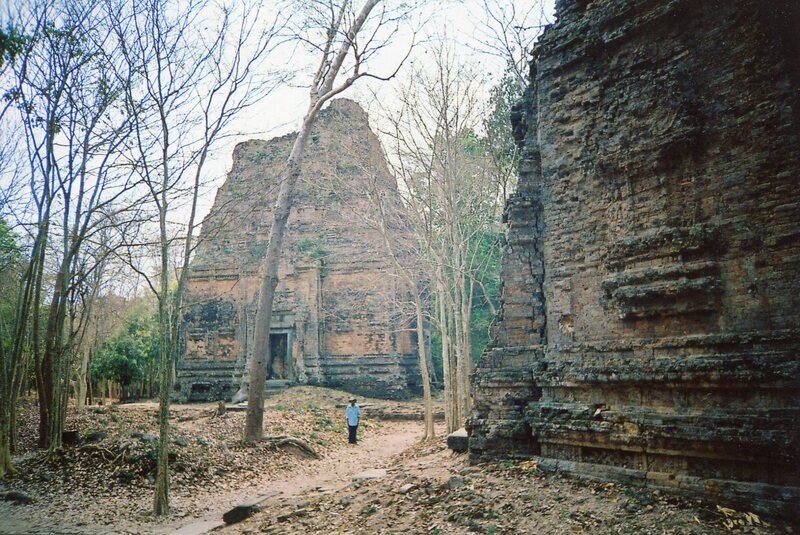 It traded goods and ideas with the Funan (please see Roots of Angkor Wat; Cambodian Origins in the Funan Culture). Many Funan people were now migrating north. A cultural synthesis followed that the Khmer culture that built Angkor Wat grew from. 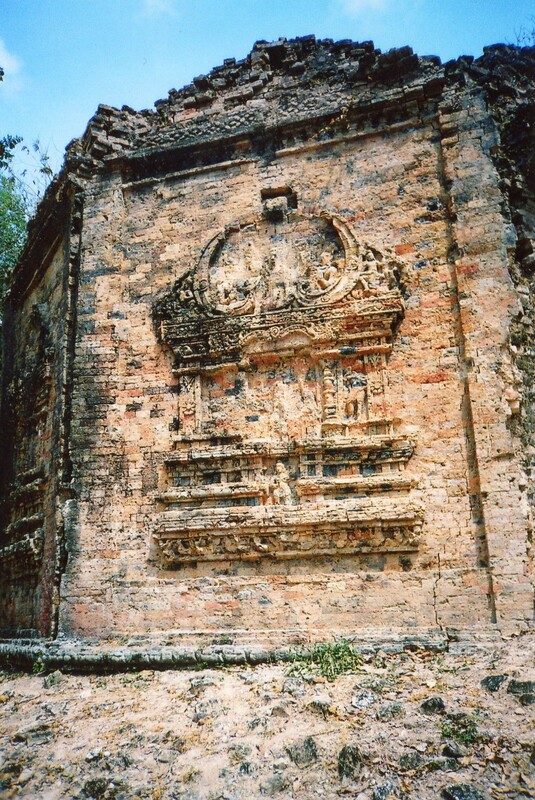 Chinese chroniclers wrote that the Chenla vanquished its southern neighbor. But some research suggests that migrations to the north were peaceful, and that both kingdoms developed a common culture over a long period. Sailors had discovered how to travel directly from India across the Bay of Bengal with the annual monsoon winds, and thus avoid the longer task of hugging the coasts. Merchants could have bypassed Funan ports. But this explanation has recently been questioned because Funan commerce was still robust in the 5th century. John N. Miksic (Art & Archaeology of Fun Nan; ed. James C.M. Khoo, p. 30-1) writes that Funan people might have moved north for cultural reasons. The people in the north focused on agriculture. The Funan concentrated more on maritime trade, and it used coins. Miksic says that the Funan might have found more security in a state organized around agriculture. The reasons for the life-style change and migration remain an open question. But this cultural shift was monumental–farming would dominate Cambodia’s economy and culture until the 15th century. This shift was a key root of the society that built Angkor Wat. The Chenla capital at Sambor Prei Kuk was called Ishanapura, and it’s full of strikingly handsome buildings which its kings built. 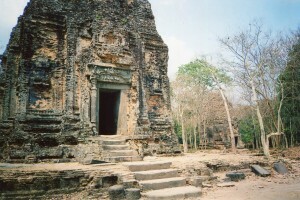 Ishanapura consists of three nearly square sets of temples. Each group was dedicated to Shiva or an incarnation of him. Early kings of Angkor would also dedicate their royal cults to Shiva. Invoking the power of Shiva and his linga (a phallus associated with the creative forces of nature) might have helped kings order a society based on agriculture. 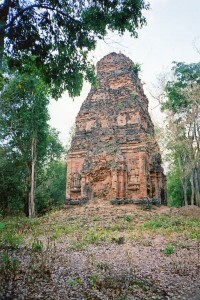 The temples aren’t dramatically large–a huge contrast with Angkor Wat. But they’re perfectly proportioned. The tallest rise about 50 feet–they would have impressed the local farmers, but they’re not big enough to overwhelm. Some are octagonal, some square, and others oblong. All forms are handsome. Their symmetry balances strength and elegance as well as the best Khmer art from later centuries does. Many of the Chenla temples’ forms became entrenched for the next 1000 years in Cambodia, and thus lasted throughout Khmer history. Some buildings’ exteriors have carvings of a floating palace–the gods’ heavenly home. The outlines of the mansions are both symmetrical and ornate, as Angkor Wat would be more than 400 years later, when it embodied the idea of the gods’ house on an epic scale. 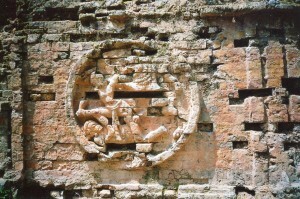 An ancient brick wall surrounds one of the compounds, and it has a row of large circles that contain lively carvings of people and animals. 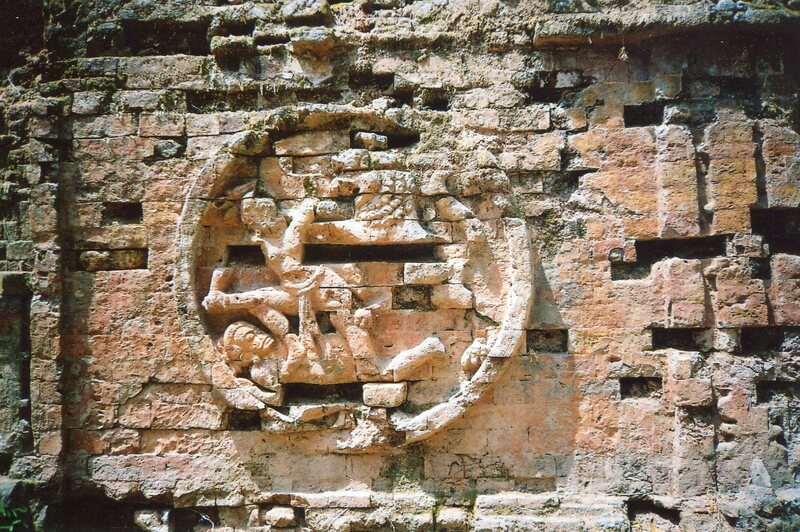 Cambodians loved action scenes long before Angkor Wat’s extravaganzas. Royal rituals must have spread the temples’ orderly forms throughout the land. Ceremonies might have been integrated with rice’s growing cycle. The Chenla state soon fragmented in royal succession crises. 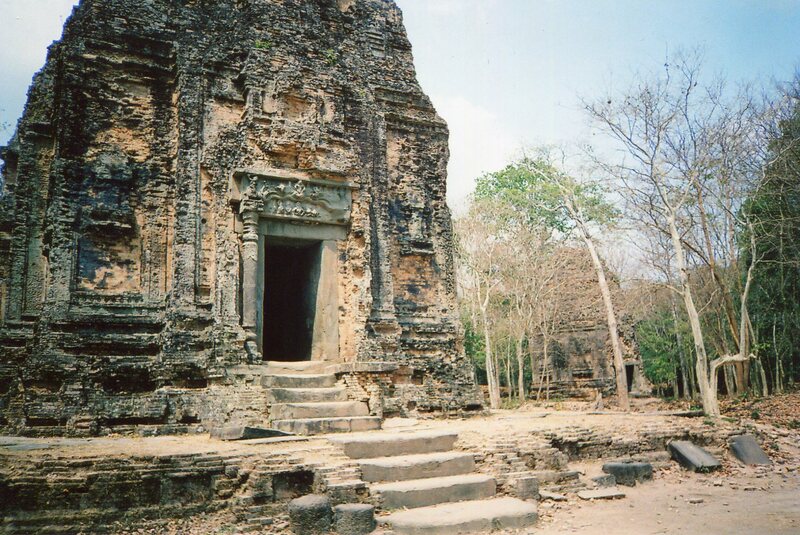 But many of its descendants moved northwest and founded Angkor. There, they built new royal ritual centers with symmetrical temples that correlated the cosmos, Shiva’s power, sacred rites, and the order of a state of farmers. 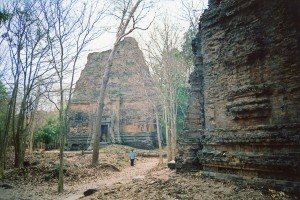 Sambor Prei Kuk is an easy day trip from Siem Reap/Angkor. 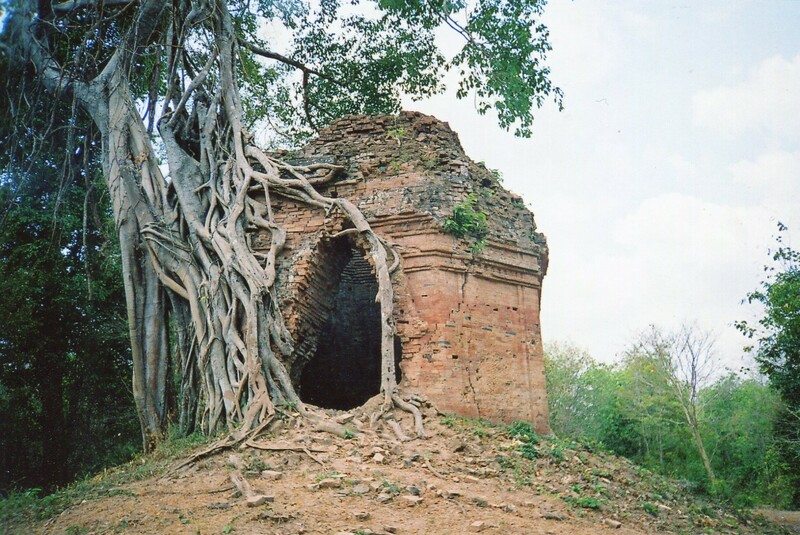 Please see it if you go to Cambodia, and enjoy some of the roots of Angkor Wat.